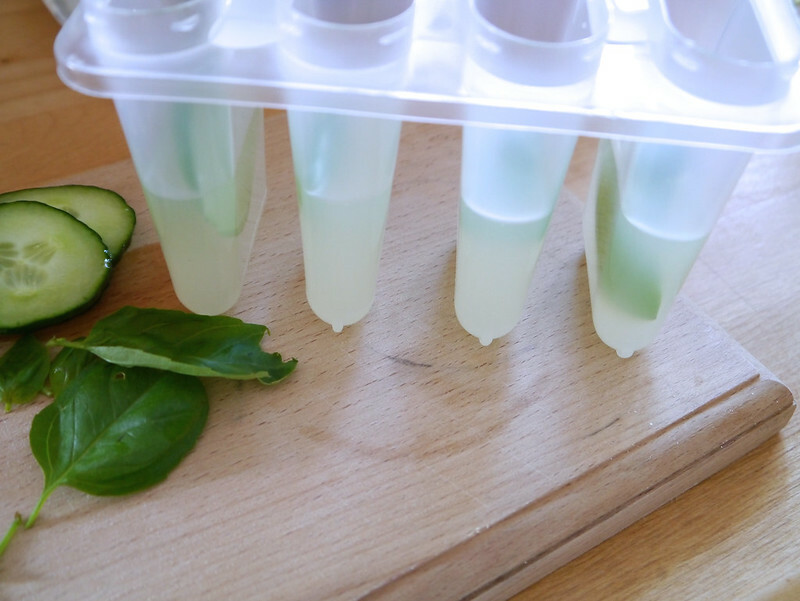 1.Fill moulds halfway with lemon squash. 2. 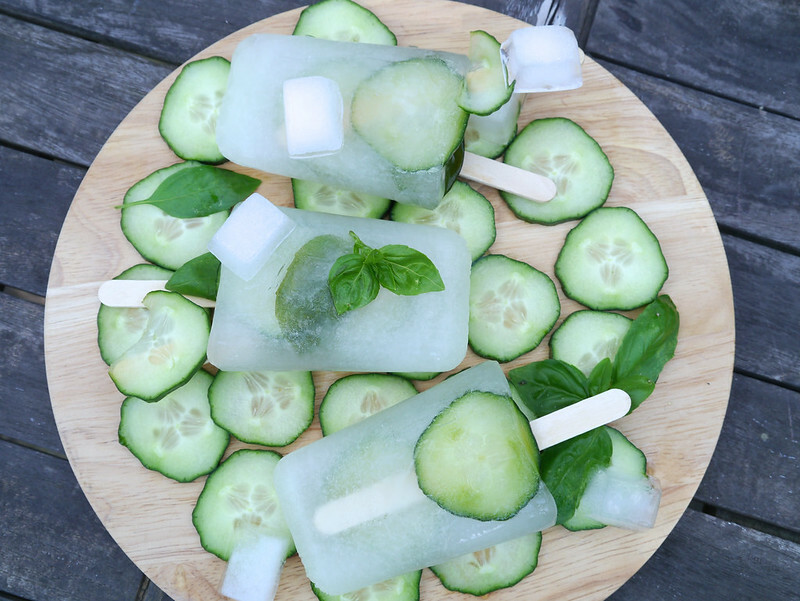 Poke in a slice of cucumber and a basil leaf and put in freezer for 20mins until icy cold but not fully frozen (this will hold the cucumber in place). 3. 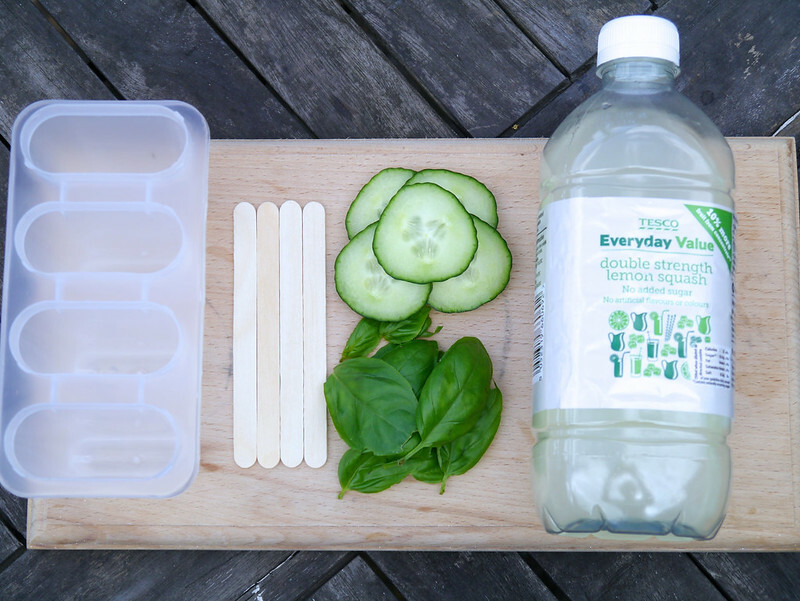 Fill up the rest of the mould with cold water and add another slice of cucumber and a basil leaf. 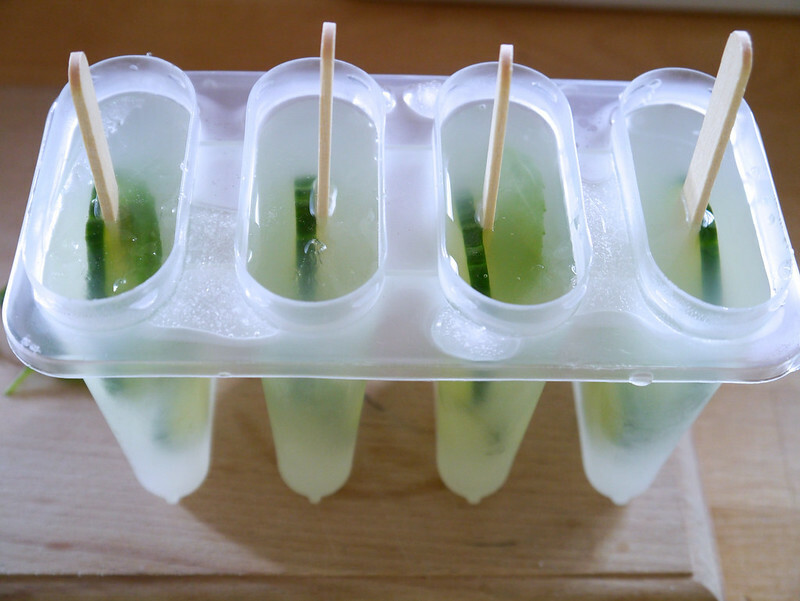 Put back in freezer for around an hour until they are just starting to set and then poke in your lollipop stick (This stops the stick from falling to one side).Then put back in freezer and leave overnight to set solid. 4.Finally remove from freezer,run the mould under the hot tap for a few seconds and pop out your awesome lollies. 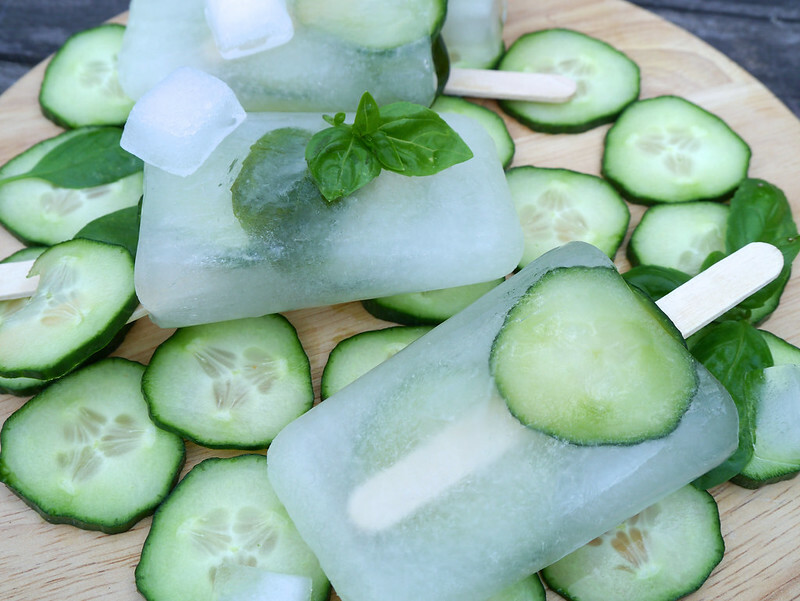 These are perfect on a hot day and are super tasty,I will be trying loads of flavours over the summer and also adding alcohol for an even yummier version. Oh wow, would never even think to mix these three things to make lollies! They look/sound delish. I made some!!!! But slightly different ingredients!! !